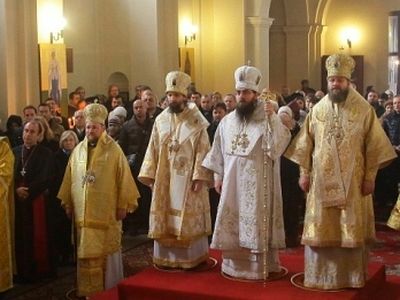 The extraordinary 13th Local Council of the Church of Czech Lands and Slovakia took place on January 11, 2014, in Presov (Slovakia), reports Patriarchia.ru. The Council had supported the decision of the Holy Synod of the Church of Czech Lands and Slovakia to elect Bishop Joachim of Hodonin as Archbishop of Prague and Czech Lands. Then, in accordance with the Constitution (Statute) of the Church of Czech Lands and Slovakia, the Council by an absolute majority vote elected Archbishop Rostislav of Presov and Slovakia as Metropolitan of Czech Lands and Slovakia. The Local Council of the Orthodox Church of Czech Lands and Slovakia is the supreme doctrinal, constituent, administrative, and church-canonical body of this Local Church. His Holiness Patriarch Kirill of Moscow and All Russia has sent Archbishop Rostislav his congratulations on his election to the Metropolitanate of the Orthodox Church of Czech Lands and Slovakia. Archbishop of Presov, Metropolitan-elect of the Czech Lands and Slovakia Rostislav (secular name: Andrei Gaunt), was born on January 25, 1978, in Snina (Slovakia). 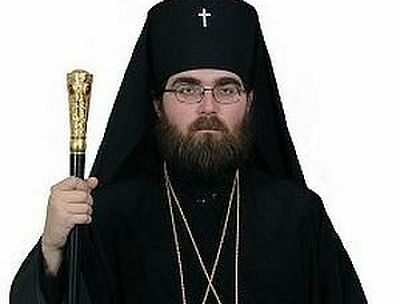 He graduated from the faculty of Orthodox Theology of the University of Presov (2002), and studied in the Aristotle University in Thessaloniki. He served as a priest in an Orthodox parish of Slovakia and also gave a spiritual guidance to an orphanage in Medzilaborets. On October 8, 2012, he was raised to the rank of Igumen. On November 18 of the same year he was consecrated Bishop of Presov. In July 2013 he led the delegation of the Church of Czech Lands and Slovakia at the celebrations, dedicated to the 1025th anniversary of Baptism of Russia in Moscow, Kiev, and Minsk. On December 9, 2013, he was elected Locum Tenens of the Metropolitan See of the Orthodox Church of Czech Lands and Slovakia. On February 1, 2014, the enthronement of the newly-elected Archbishop Joachim of Prague and the Czech Lands took place at Ss Cyril and Methodius’s in Prague in the presence of numerous clergy and laity.